Sunêlia Confort; 6/8 pers. 3 bdrms. 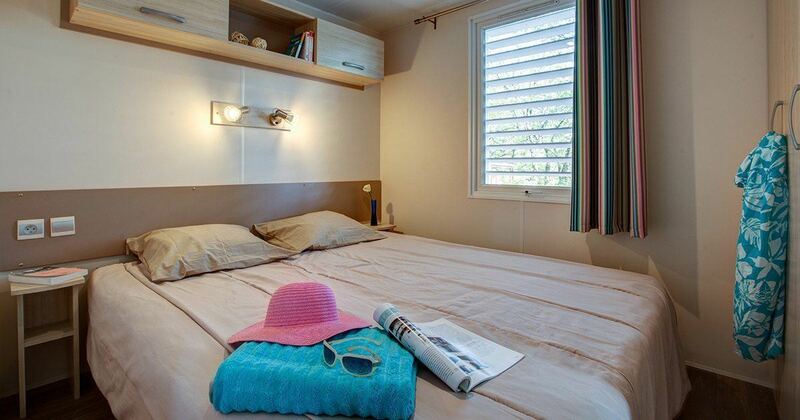 Our Mobil-Home Sunêlia Confort 6/8 Pers is the ideal holiday rental for campers who travel in groups or tribes. 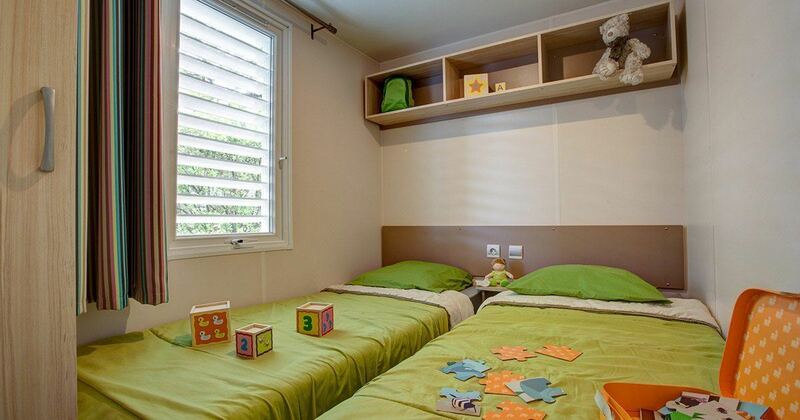 With an area of 34 m2 and a capacity of up to 8 beds, it can comfortably accommodate a group composed of 6 to 8 persons. 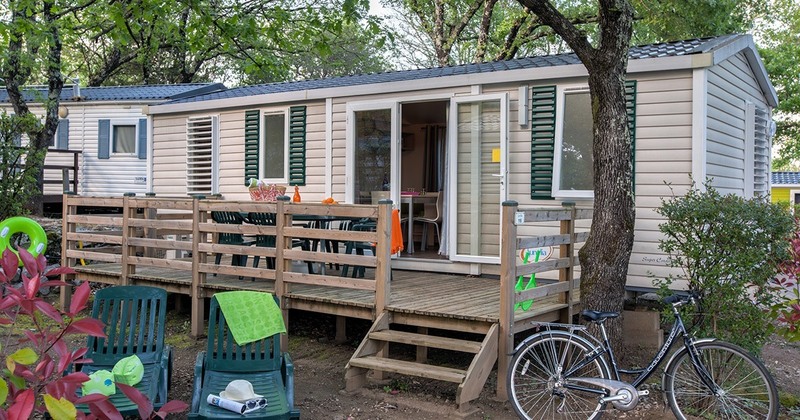 Thanks to its design and its perfectly fitted and equipped spaces, you can enjoy all the comfort you need for your family stay in the Ardèche. 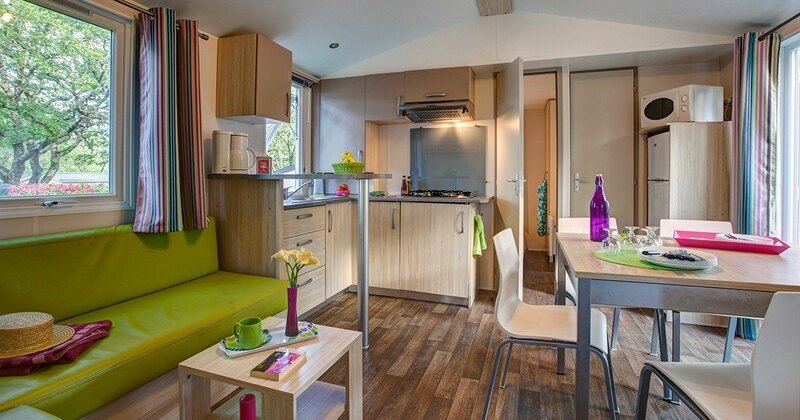 The Mobil-Home Grand Family includes 3 bedrooms, a living room and a kitchen. It also has its own water room. The sleeps of this large Mobil-Home 3 bedrooms are divided as follows: a double bed in the master bedroom, 2 single beds in each of its 2 other rooms and 2 extra places in the living room. The latter is equipped with a convertible seat and also serves as a dining area for your family meals. 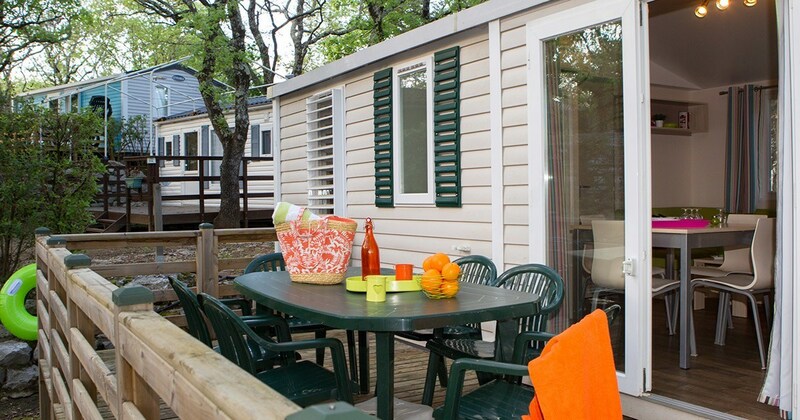 The small adjoining kitchen, equipped with all the utensils and various equipments, will allow you to cook good small dishes with the local products purchased from our grocer or to concoct picnic meals in anticipation of your outings Hiking or days by the river or the gorges of the Ardèche. Breads and pastries are also available every morning. 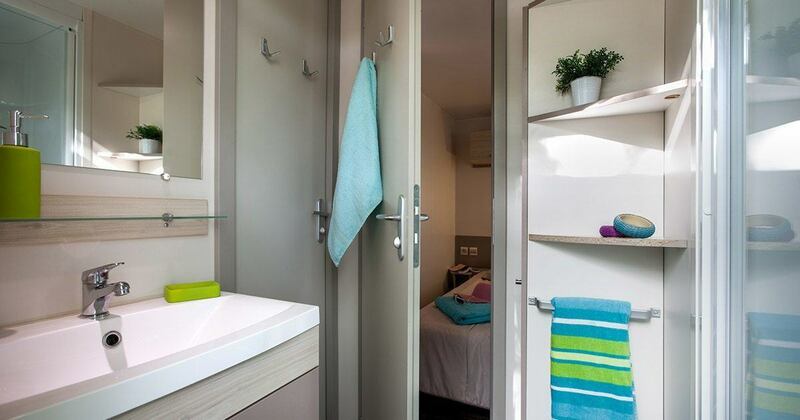 When in the water room, it includes a shower and a sink and a separate WC. As a bonus, the Mobil-Home Sunêlia confort 6/8 Pers offers more services to guarantee your comfort: heating, air conditioning and safe. 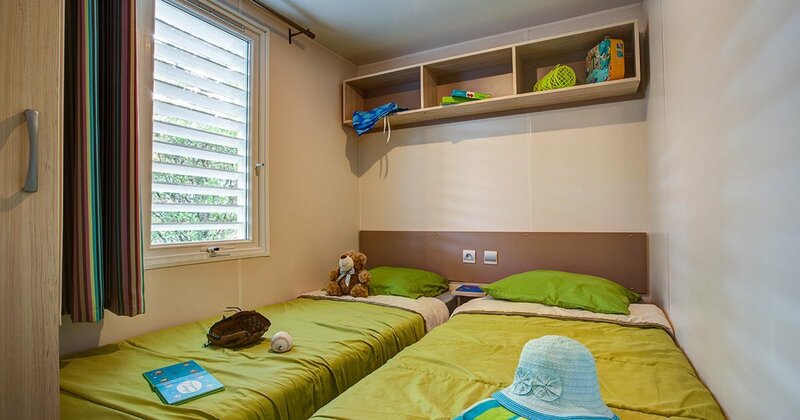 We provide the duvets and furnishings and rent sheets and towels for a quiet holiday. 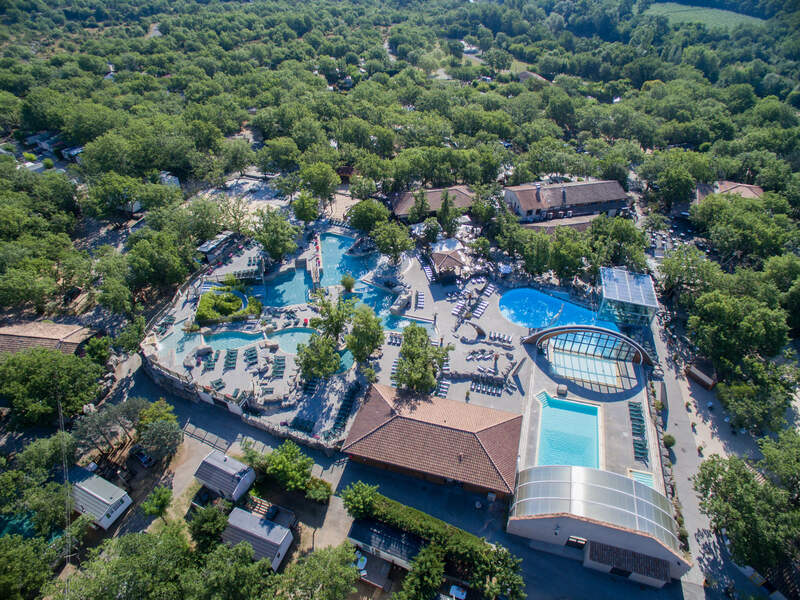 You can also take advantage of hotel services such as half-board or full-board, the end-of-service cleaning... In our 5-Star camping Ardèche.